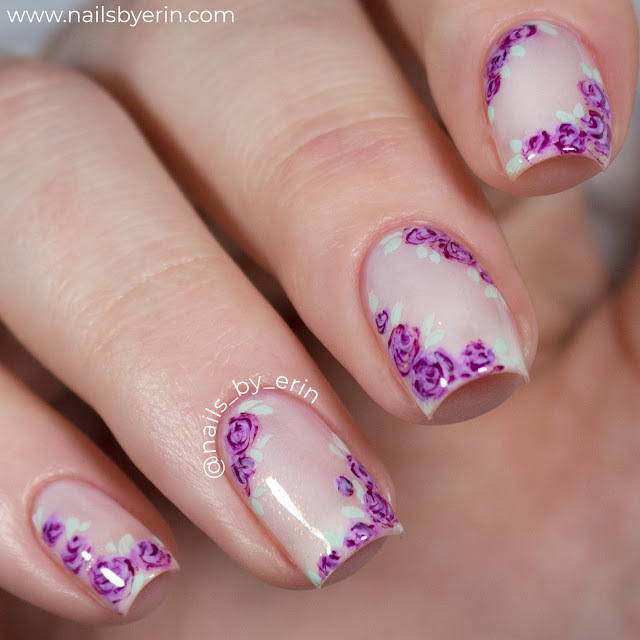 I used three Essie purple shades for the flowers: Lilacism, Play Date, and Designated DJ. I like using 3 shades for my flowers because I think it gives them the most dimension. I also used Orly "Fresh Start" for the little leaves around the flowers. 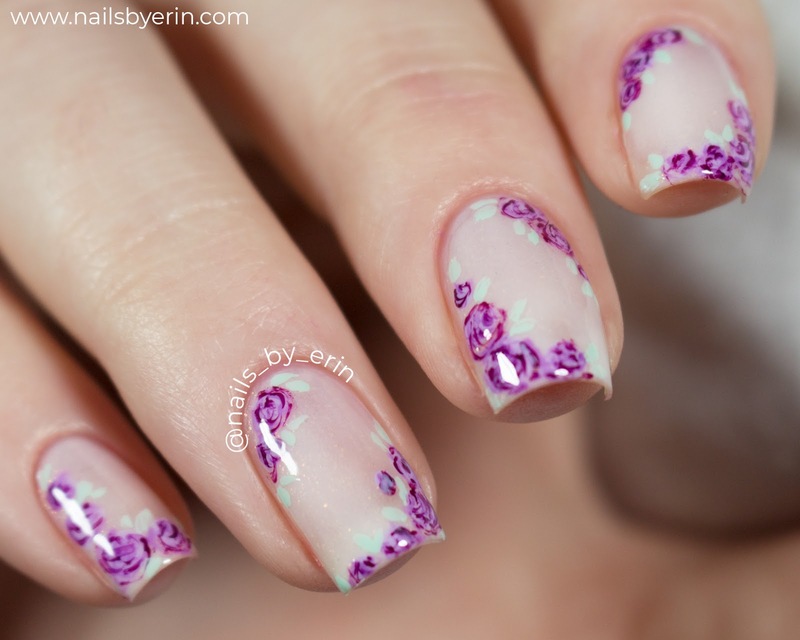 I painted all the details with the Mitty Candy 00 Nail Art Brush from Snail Vinyls! 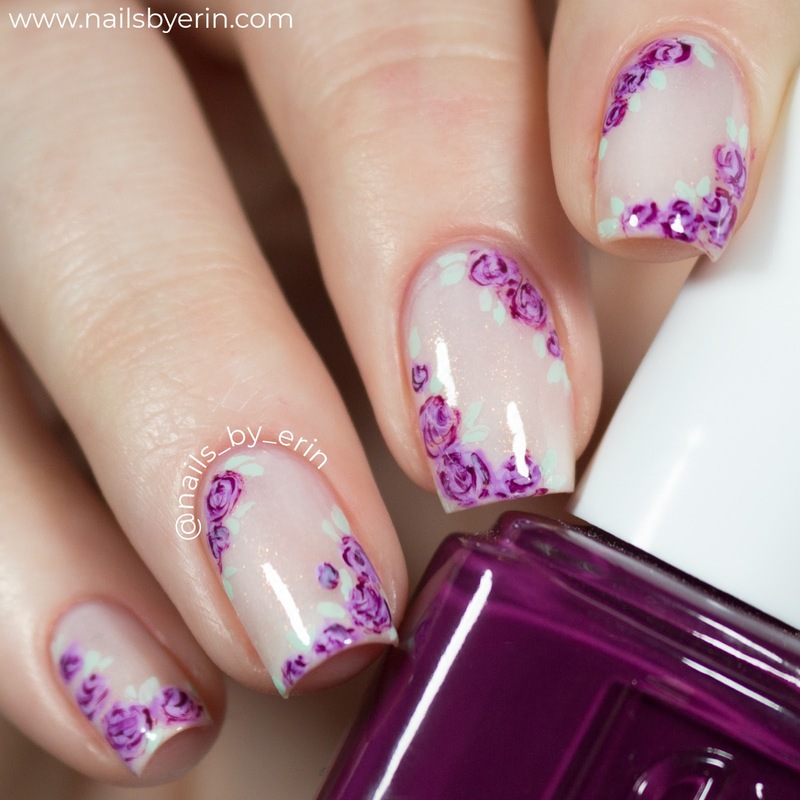 Clearly, I kinda went a little crazy with pictures of this mani... I just ended up being really happy with how it turned out! 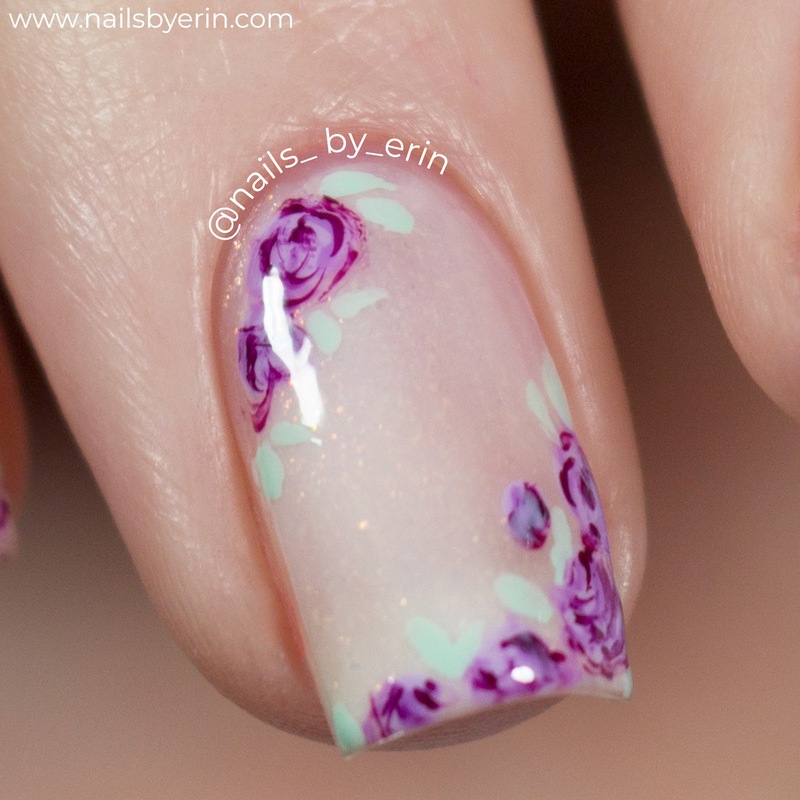 Over the years I think my freehand roses have really come a long way. I also wanted to include this little macro of the roses on my ring finger. You can also catch a little glimpse of the gold flakes in "Princess Awaits". Also, I'm left than 100 subscribers away from 3,000! So please make sure you subscribe to my channel while you're over there :) I'll be doing a face reveal/Q&A when I reach 3,000 too! I hope you all love these nails as much as I do! DISCLAIMER: All opinions are my own. Some links are affiliate links.